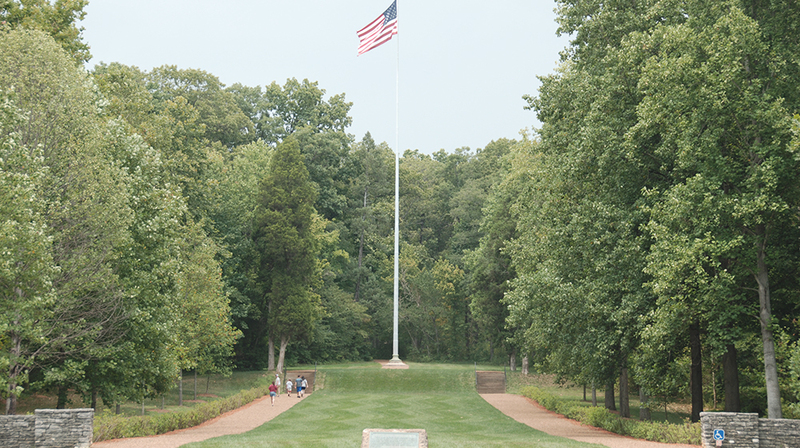 Lincoln Boyhood National Memorial is dedicated to one of America’s greatest presidents. Visit the site where Abraham spent his childhood. Lincoln and his family lived here in a pioneer community from 1816 to 1830. This National Park offers a glimpse into the young pioneer life of our 16th president. 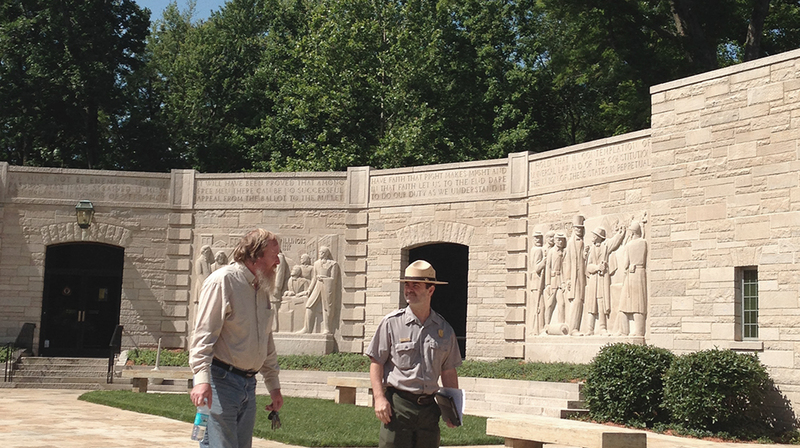 Lincoln Boyhood National Memorial is the state of Indiana’s Best Historic Destination in Indiana! The story of the Mr. Lincoln’s 14 formative years in Indiana springs to life at the Living Historical Farm. Futhermore, visitors learn about young Abe in the museum and film, and along the park’s scenic trails. Explore the Visitor Center. 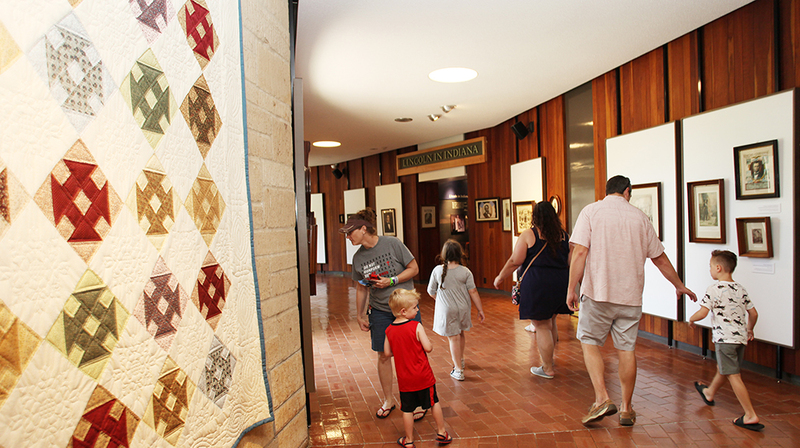 Inside, find two Memorial Halls, a museum with a variety of exhibits, and an orientation film. Browse the bookstore with books, pioneer toys, Abe Lincoln hats, and other educational items. 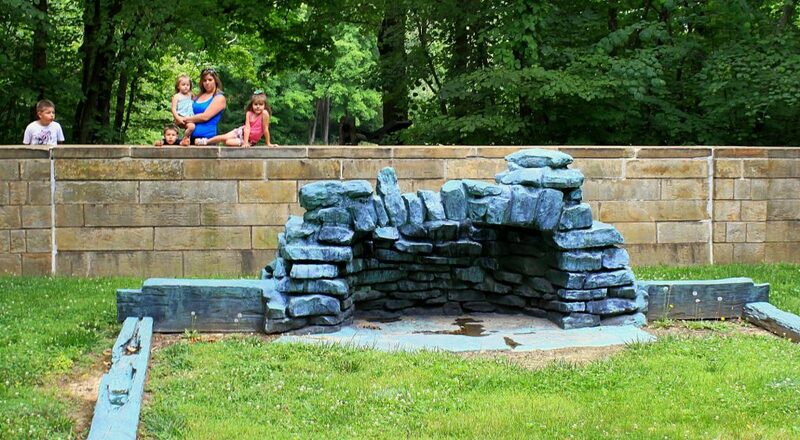 Take a quiet walk up the wooded Lincoln Boyhood Trail. Visit the grave site of Abraham Lincoln’s mother, Nancy Hanks Lincoln. And, check out the Cabin Site Memorial during a self-guided walking tour. 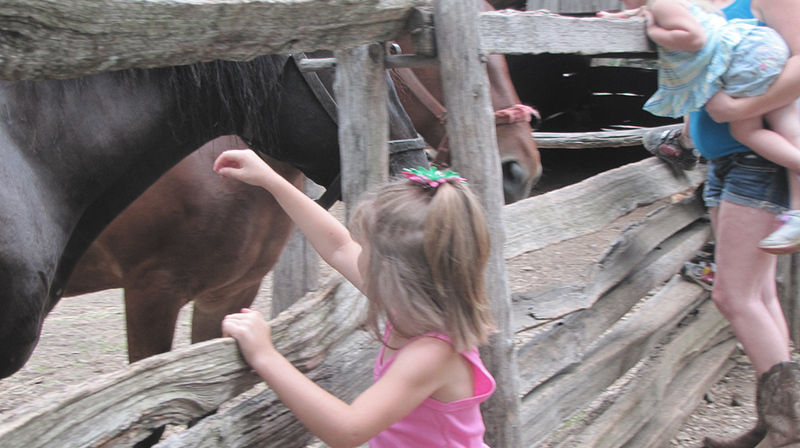 The Living Historical Farm is a re-created and working pioneer homestead. Visitors will explore a cabin, outbuildings, and split rail fences. Furthermore, animals, gardens, and field crops entertain guests of all ages. 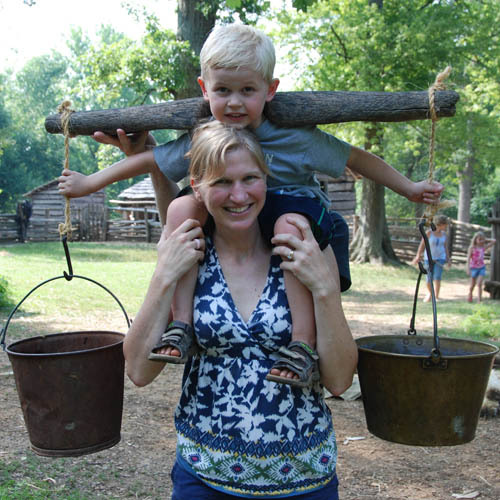 In addition, rangers in period clothing perform a variety of activities typical to those of the 1820s. The farm grounds are open year round. And the farm is staffed from mid-April through September. 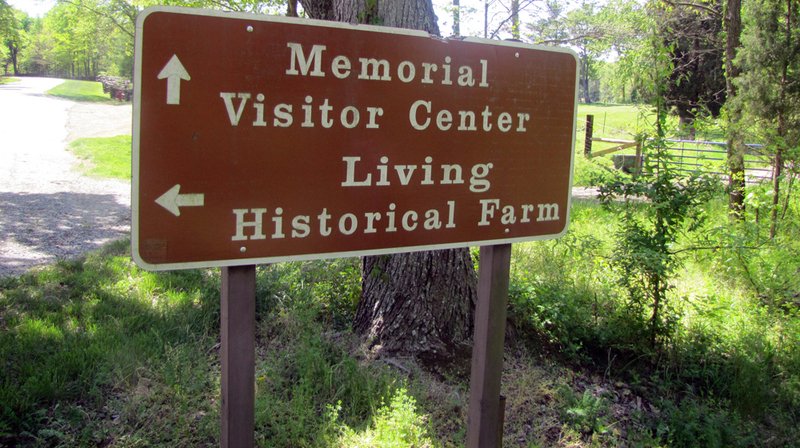 The Living Historical Farm is located inside the Lincoln Boyhood National Memorial. Find the national park on Highway 162 across from Lincoln State Park in Lincoln City. Click here to see this month’s hours of operation for local attractions and restaurants. 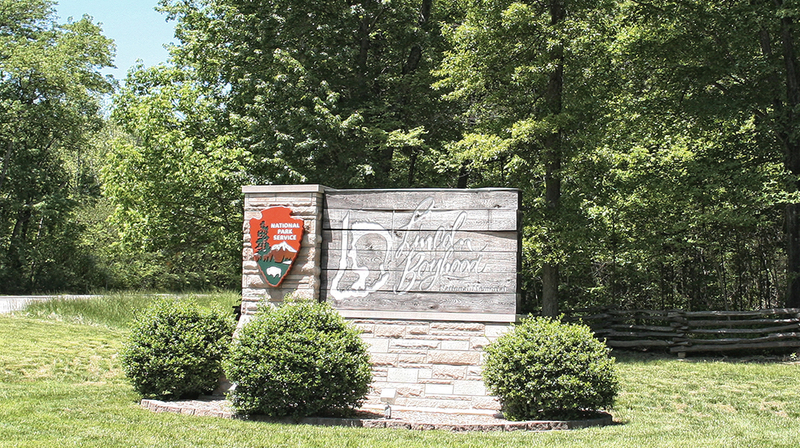 On the map below, you'll find Lincoln Boyhood National Memorial, as well as a few of the lodging, dining, and activities that are close by.